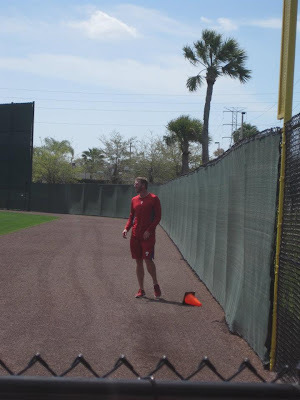 SO I just got back from the beautiful baseball preseason paradise that is Clearwater, Fl and was fortunate to snag a couple photos of HLHIII working hard. First, I spotted him on the practice field doing repeat warning tracks (I had to wait until he stopped because every other photo only showed a red blur…weird). After that I encountered him on the phone (with who I can only imagine is his wife as they discuss how the great weather would make for a good trip to, perhaps, the zoo). Hello, recycling pant? No worries, I'll run it all over. 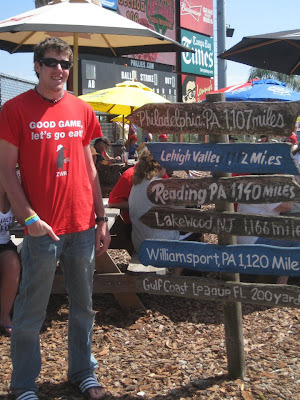 Finally, the last pic is not actually Roy, just me wearing one of my favorite shirts standing in front of the sign that displays just EXACTLY how far I traveled to see the Fightins…. Enjoy! Dude I know right? ZWR in the Wild - from Spring Training - with dope pictures of HLHIII. AND it's (basically) the freakin weekend! 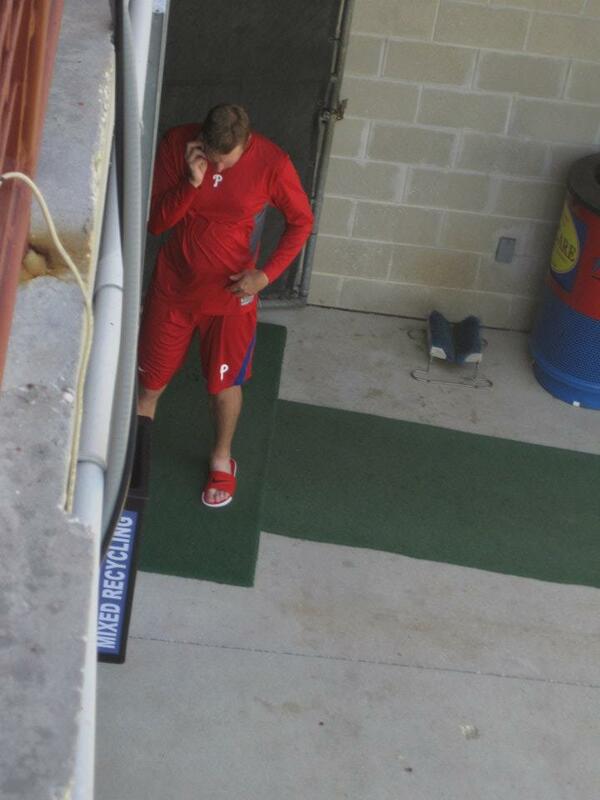 I love the Phillies and everything life is awesome brb hugging.